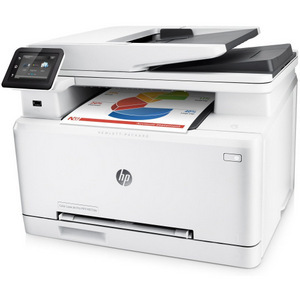 Take advantage of our cheap prices on HP Color LaserJet Pro MFP M277dw toner today! We’ve got the toner you need at the lowest prices around. Our compatible toner cartridges will deliver the print quality you depend on at a price you’ll love. Whether you’re stocking up on toner to use at home or in a personal printer at a small office, our toner will not disappoint. You can expect sharp, bold monochrome typeface and brilliantly colored photographs that will look professionally processed and printed. You’ll be able to get unsurpassed quality at a cheap toner price – these compatible cartridges will slash your print costs almost in half, yet you’ll still get the same results that you’d get with a far more expensive original equipment manufacturer (OEM) HP cartridge. Our compatible HP 201X toner cartridges will deliver OEM print specs to your home or office printer. You’ll get up to 2,800 pages in monochrome prints and up to 2,300 pages in color, just like the OEM version! Get the quality you need at a budget-friendly price!